he knows . . . the vast, untamed wilderness of the Navajo Reservation. God’s plan for his life in order to keep Kailyn alive? The way the characters meet. The novel starts off with suspicious happenings that immediately drew me in. I didn’t even plan to read as much as I did at first, but I couldn’t put the book down. I was completely invested from the beginning. The characters themselves. I really liked the complexity that was Aaron and the fearlessness of Kailyn. I will admit that I read the premise and I thought, here’s another heroine who is supposed to be in danger but acts like she isn’t. Not at all. It just so happens that she’s a great help to Aaron. The romance. I like where the author took Aaron and Kailyn. It was a bit cliché, but it worked for me. Though there was almost instant attraction, they fell in love over the course of the novel and you could really see that. The culture. Once again, Ms. Carter had us amongst the Navajo nation and I loved it. I want more books about American Indians. I feel like I learned so much and I wasn’t ready to leave. The suspense. Ok I liked that the focus was more on romance than suspense, though there is plenty of suspense! Spiritually, I liked that Kailyn learns that ultimately her faith has to be in God, and Aaron learns who God is and that He is faithful. Towards the end of the novel, Kailyn and Aaron separate for a minute and personally, I thought the separation was a great idea as they learned to rely on God. But the reason for the separation seemed a bit contrived, and it seemed for a moment as though one of the characters had had a bit of a personality change. Overall, very good novel. 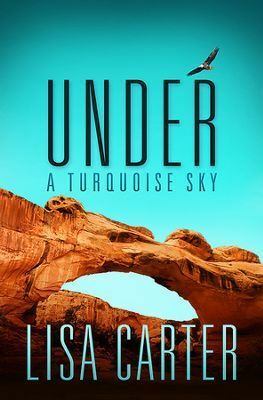 As always, I enjoyed a Lisa Carter novel and I very much recommend it! Previous Post Monday Musings….Series, Do You Reread Them? Sounds like an interesting novel! Is the novel part of a series and if so do I need to read the first one? It is a series, though each book can be a standalone. I think Beneath a Navajo Moon is the first one.